Superhero movies have evolved a lot of the last two decades, this year we may have witnessed the beginning of their final form. Logan, Hugh Jackman's final outing as the most famous of the X-Men, took the genre into territory that may be part of wider cinematic tropes, but has rarely been tapped by superhero films. Jackman's Wolverine has always had a little more in common with the anti-heroes of old western movies than he does other superheroes. This film is the superhero equivalent of Unforgiven. This is the final, reluctant, road to some form of redemption for how the character feels about himself. At the start of the story you find a broken hero, getting by with a normal job, trying to hide and care for Patrick Stewart's now obviously ailing Professor X. The arrival of a young girl, cloned from Wolverine himself, presents him with a cause he has to respond to again, even if he doesn't want. 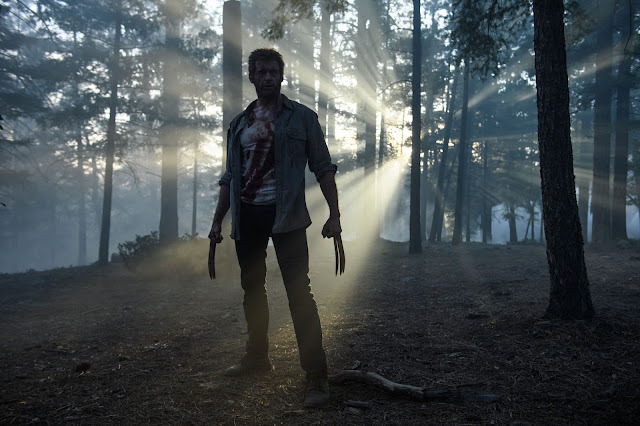 While there are of course action sequences, and some amazing fight scenes, Logan has a reflective somber tone throughout. This is the tale of what happens after the heroics, of the traumas that soldiers of any description have to deal with. The cost of years on the battlefield. He's clinging to the only friends he has, even if he doesn't appear to know how. As impressive as the action can be, it is the intimate character moments that will stick with you. So while he is reluctant to get involved again, he has to. The film itself is well paced, well shot, and Jackman and Stewart are so comfortable in these skins at this point that the performances are faultless. It was a fitting final chapter for this incarnation of this character, and a perfect ending for Jackman.